Are you leaving the office temporarily and need to setup an automated reply? We have good news for our Exchange users, as eM Client 7 features a new option that allows you to setup automated replies directly from eM Client. 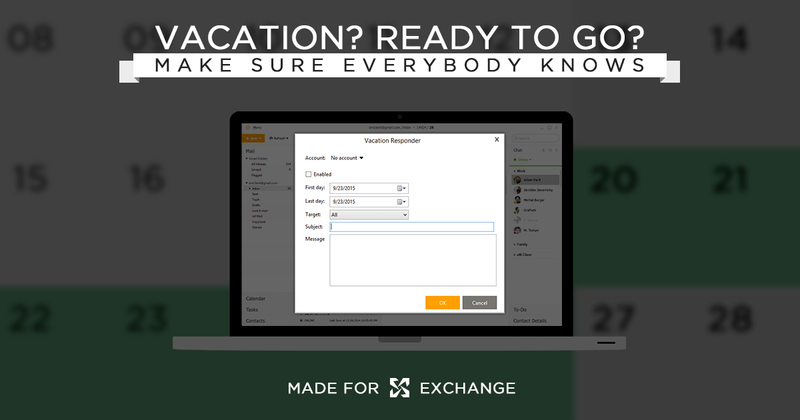 By navigating through the application Menu to Tools, use the new Vacation Responder tool and setup the responder’s schedule and your custom reply, the subject or even target the automated responses to your contacts only. Unfortunately, this option is only available while using an Exchange account as most major services do not provide means to set up this option outside of their user interface.